How Far is Pratik Krupa? 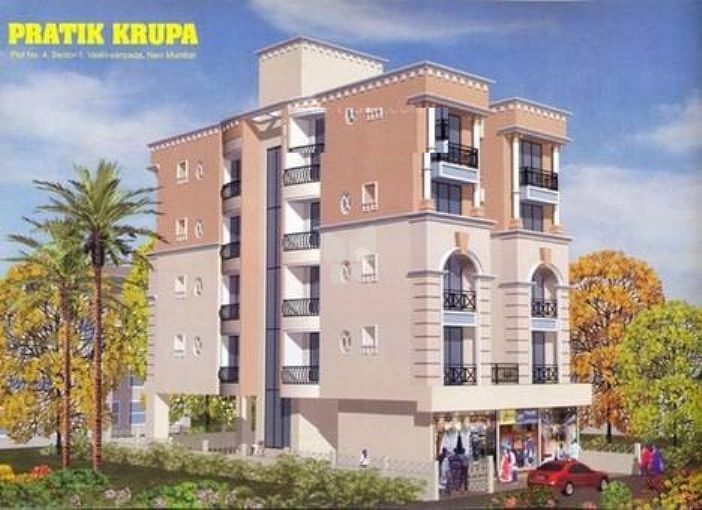 Pratik Krupa is a popular residential development in Sector-1 Vashi, Mumbai. Developed by Pratik Enterprises, this project offers 1BHK, 2BHK and 3BHK apartments with basic amenities for the comfort of residents. It is close to the market and many educational institutions. Earthquake RCC framed structure with M-25 grade concrete. Brick Work & plastering with river sand. Kitchen and Bathroom with glazed tiles of reputed brand up to door frame height. Marble door frames to bed room, kitchen & toilet doors. Powder coated aluminium toilet doors with backlite sheet. Concealed plumping with C class G I pipe and renowned company fittings. Velvet touch paint to all rooms. Acrylic paint to building external walls. All rooms with POP and fall ceiling with concealed light.